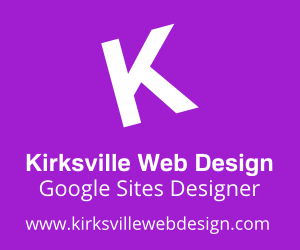 It's coming together, my new Kirksville Web Design website built entirely on the New Google Sites engine. I'm building my faith that this will be worth investing in. Obviously the sites look great and are quick and easy to build, but the limitations and lacking features make it difficult for these "sandbox sites" to come to life. I look forward to the big reveal with you all, and right now I'm doing my part to get ready for when public web address mapping comes out. 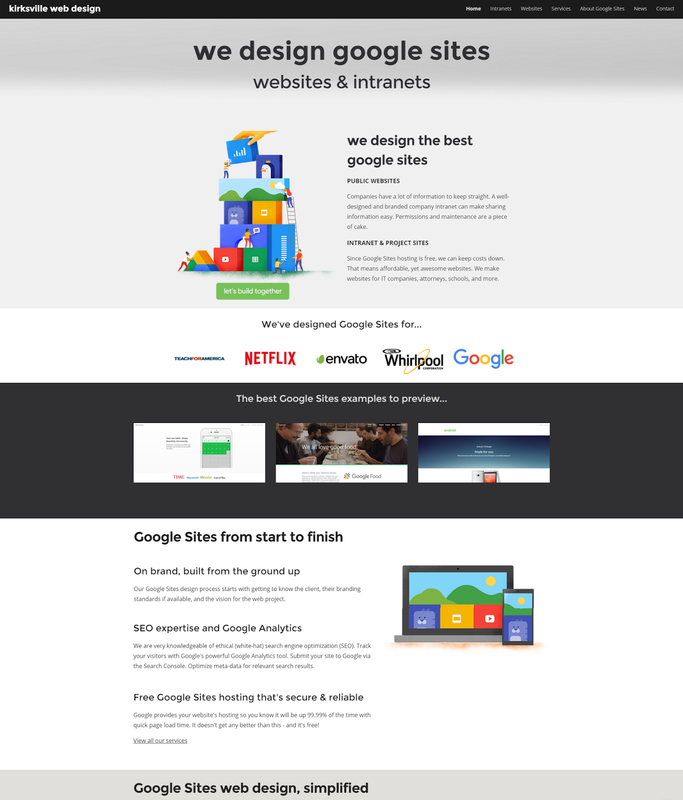 Google Sites SEO will be a major concern with the New Google Sites though. Just so you all know, I'm also building a fair share of Squarespace sites right now. At first I was only building Squarespace sites for Ecommerce, but now it has garnered more of my attention until New Sites is ready for prime time. I simply can't wait and twiddle my thumbs as a freelancer. Don't get me wrong, Classic Sites is still excellent for intranets, but Squarespace is my transitional platform and something worthy of diversification.